Over the long weekend, my girlfriends’ and I decided to take a bit of a road trip to upstate New York. We drove from Toronto to Rochester and the region southwest of Rochester called the Finger Lakes! For me, New York always meant New York City and well, I now know better. Places like Ithica, Corning and the Finger Lakes are places with an abundance of hidden gems – national parks, waterfalls, gorges, glass art, vineyards and homemade ice cream! There was so much to discover. And all along the way, I found and picked up some goodies that haven’t made it across to our side of the border – well worth the trip I say! 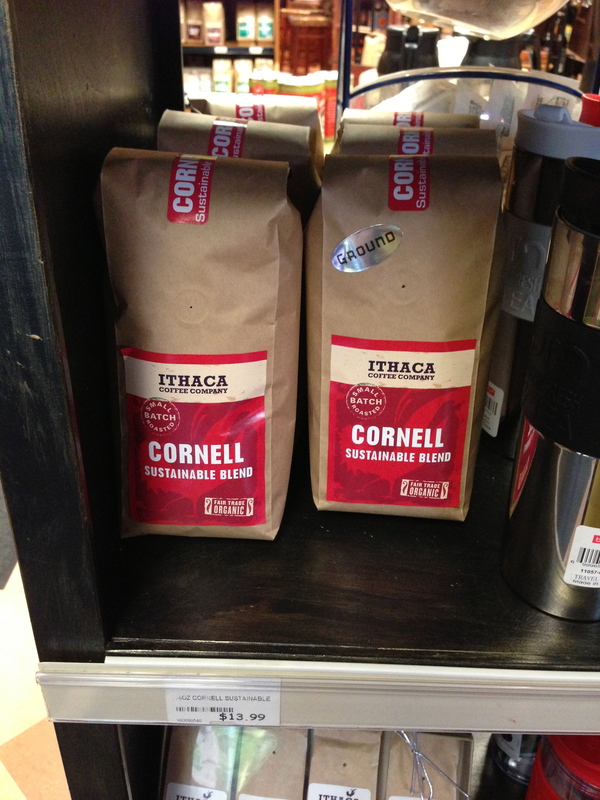 Coffee blend named after a University – Ithica Coffee Company’s Cornell Sustainable Blend. 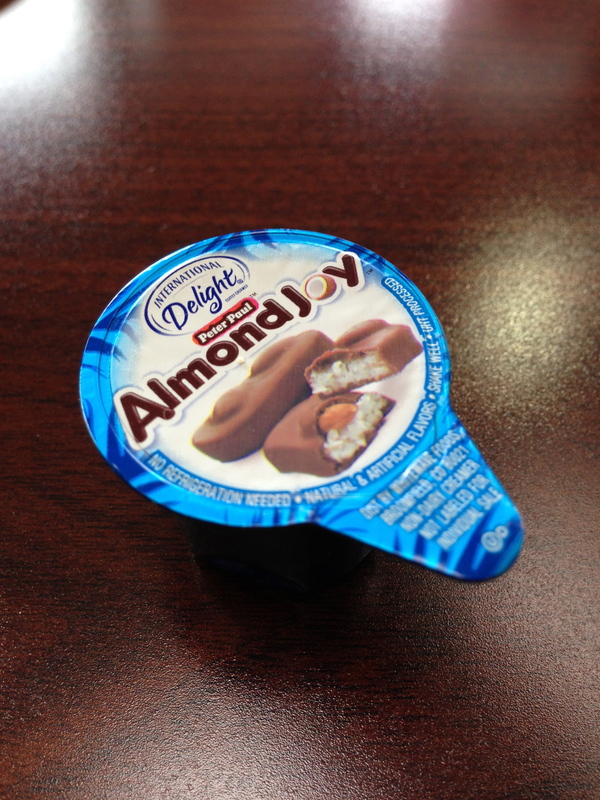 International Delight’s Almond Joy coffee flavouring. 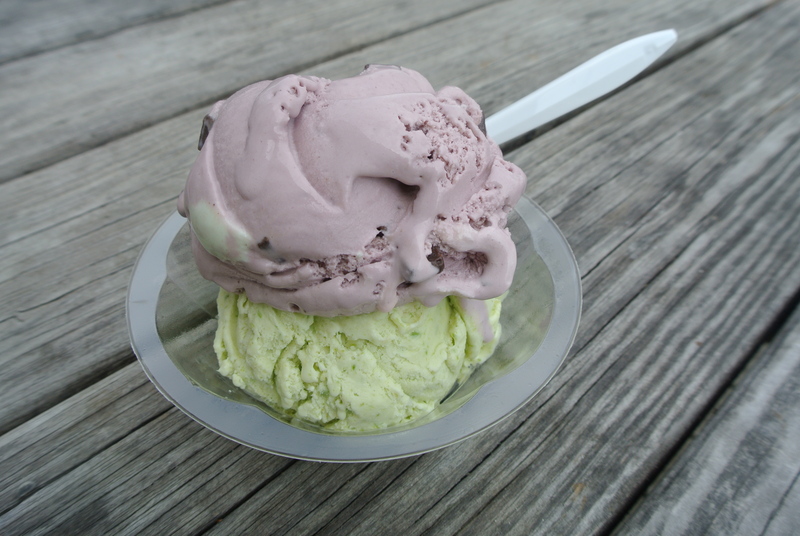 Cayuga Lake Creamery’s Asparagus ice cream (yes, its made with real asparagus) and Purple Cow ice cream (blackberry ice cream with chocolate chunks)! 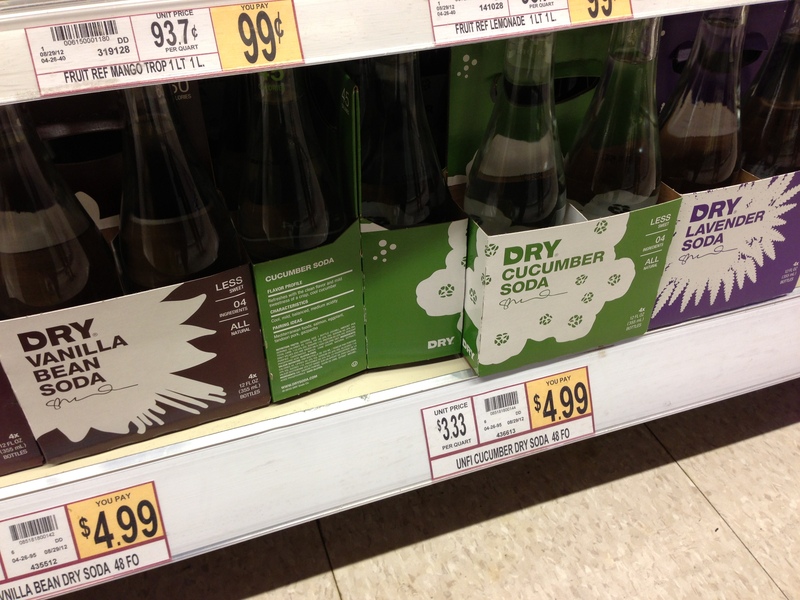 Unique soda flavours – cucumber, lavender and vanilla sodas. 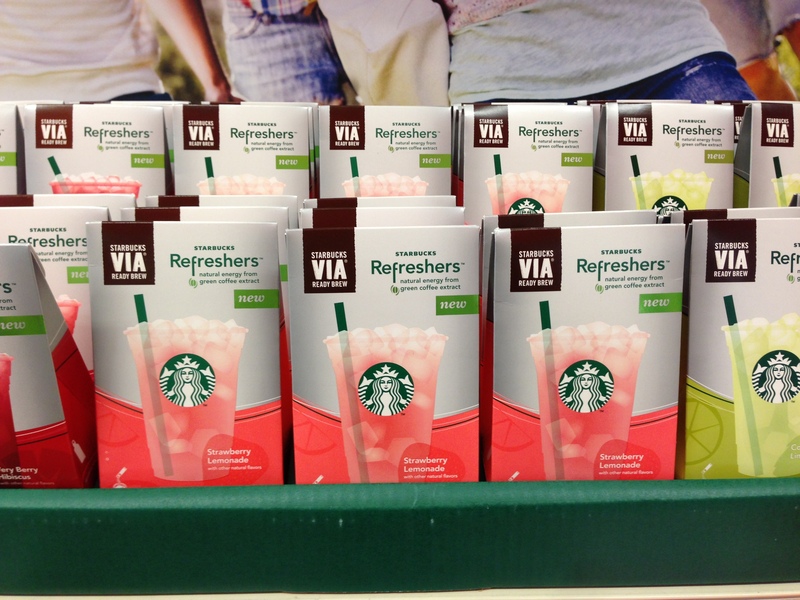 Found these at Target – new Starbucks VIA Refreshers flavour, Strawberry Lemonade! 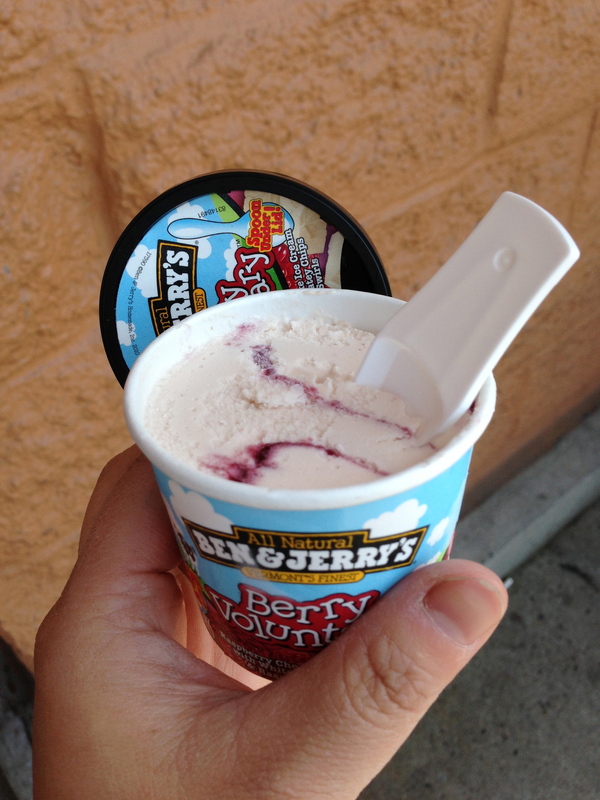 Also at Target – mini Ben & Jerry’s individual ice cream cups, Berry Voluptuous flavour! 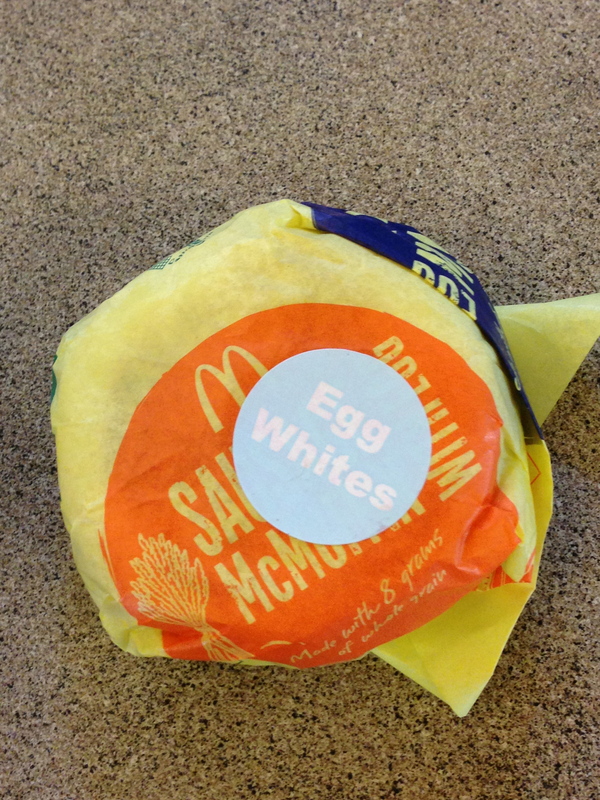 McDonald’s Egg White Sausage McMuffin! 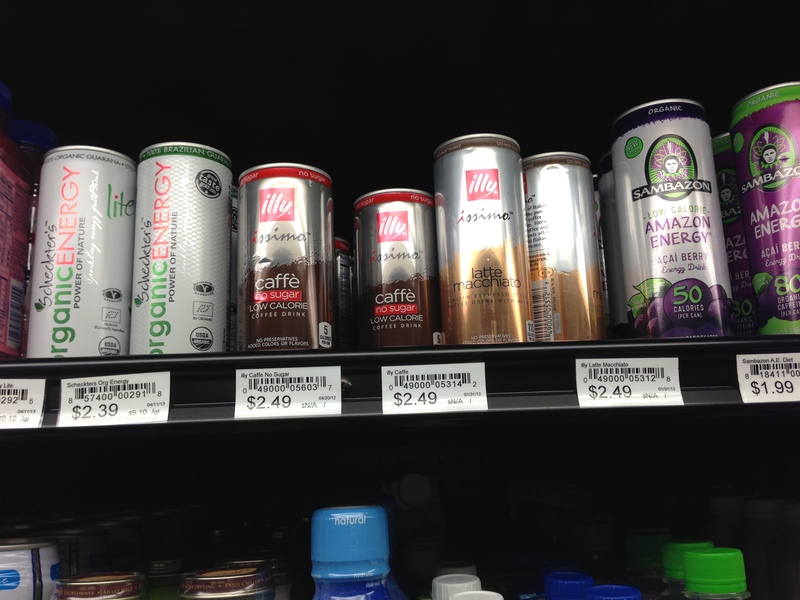 They have a lot more healthier options in the U.S. restaurants with calorie information right at the counter! 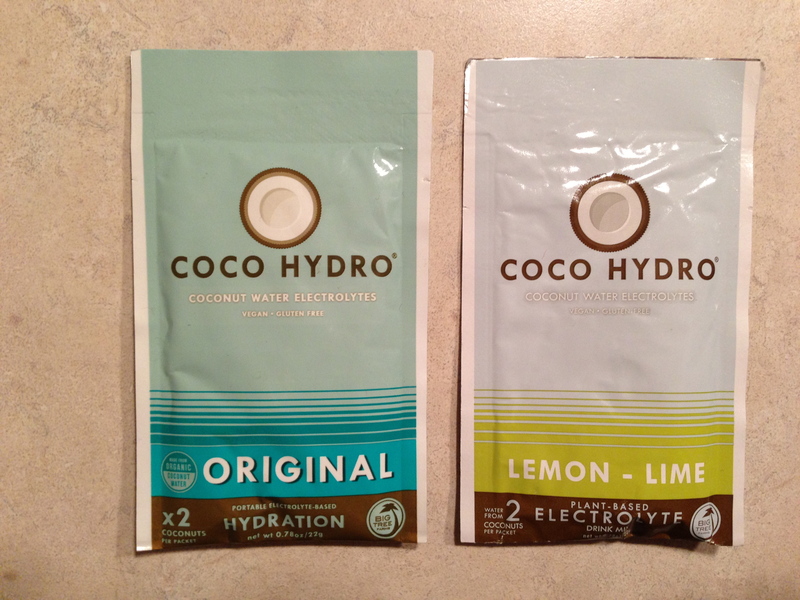 The goodness of coconut water in powder form that can be mixed with water – only $1.50, what a deal!